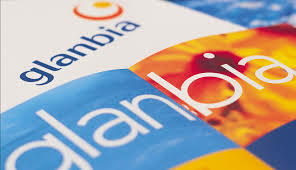 Agri-food company Glanbia has said it is in negotiations with staff in its consumer brands division regarding restructuring. According to the company, the operating environment for Glanbia Consumer Products – part of the Dairy Ireland business segment – continues to be impacted by the challenging Irish retail environment as well as high input costs due to sustained increases in global dairy market prices. “As part of an ongoing programme of change the Consumer Products business is to further evolve its business model and structure to ensure it remains competitive in the domestic market while also positioning the business to explore opportunities in high growth export markets,” it said. The reorganisation of the business, which was communicated to employees this week, includes a range of strategic initiatives by Consumer Products. “These include a capital investment programme in new technologies and new facilities, redesigning parts of the supply network for efficiency, restructuring head office functions and reducing the overall cost base,” it said. In addition, the company said it is expected there will be some job losses from the sector. The consumer brands division covers household products such as Avonmore dairy and Kilmeaden cheese.